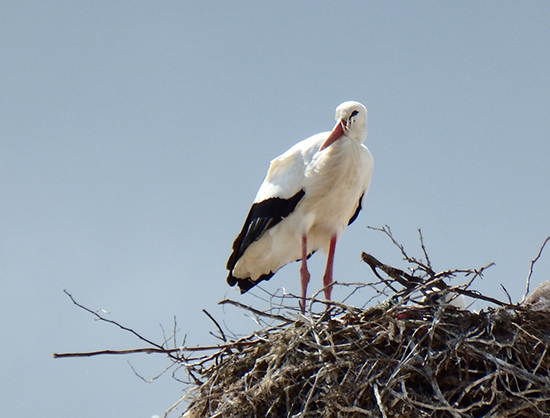 My snatches of birding in Portugal had to be short and sweet –usually early in the morning – as my wife’s not overly interested in our avian friends (though even she quite enjoyed seeing White Storks nesting in the tops of chimneys!). We’d never been to the Algarve before, so deciding where to go was not straightforward. In the end we selected a fairly modern (and large) apartment on the seafront in Olhão, which is located on the quieter side of Algarve (ie going east rather than west after emerging from the airport). 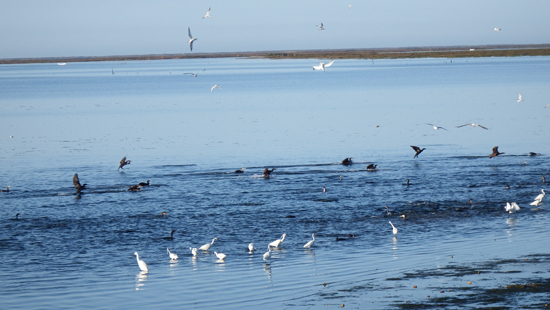 I have to admit my final choice was not altogether unassociated with birds, since I could see from pictures on the ‘booking.com’ website that the accommodation – close to a new marina development – was very close to the sea, and adjacent to some tidal lagoons and salt-marsh. 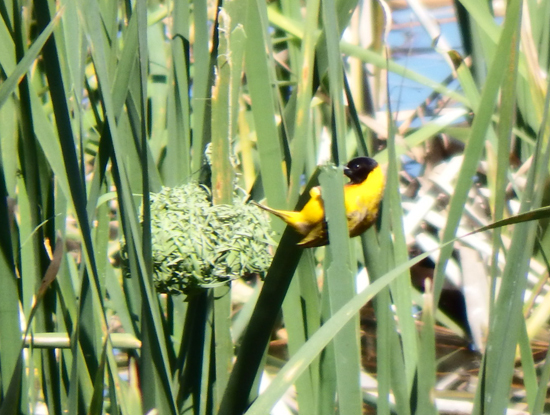 And from the birding viewpoint it turned out to be ideal as I quickly discovered when walking out of the apartment and, within 300 yards, I was in among a selection of Cormorants, egrets, terns, gulls, waders – and Flamingoes. In just two hours or so before breakfast I’d logged my first 40 species of the holiday! 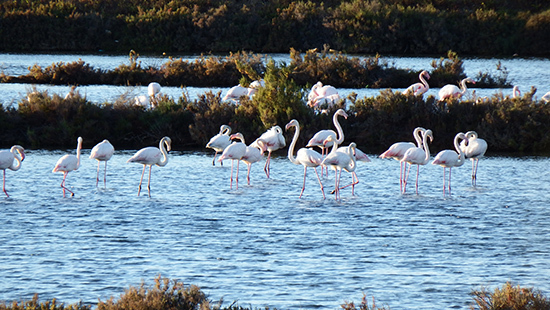 We were only there for a week, yet by the time we flew out of Faro, heading home, I could count 90 species in my notebook, including three ‘lifers’. 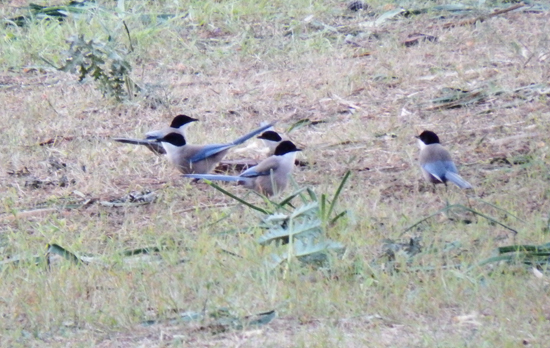 These were Azure-winged Magpie, which tend to occur mainly in the south of the Iberian peninsula, the Black-winged Kite (a delightful small raptor that hovers) and a Black-headed Weaver, usually a resident of Africa that has begun to colonise the wetland areas found in the very south of Portugal and Spain in recent years. The only mild disappointment was the paucity of raptors. 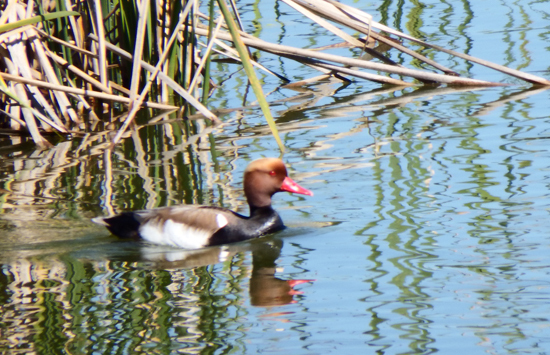 Meanwhile, other highlights included a range of my ‘continental’ staples – Corn Bunting, Stonechat, Hoopoe, Cetti’s, Fan-tailed and Sardinian Warblers, Kentish Plover and Black-winged Stilt – and there was a dazzling array of wetland and coastal birds, notably Spoonbill, Glossy Ibis, Cattle Egret, Avocet, Green Sandpiper, Sandwich Tern and Slender-billed Gull, plus those impressive White Storks and Flamingoes. 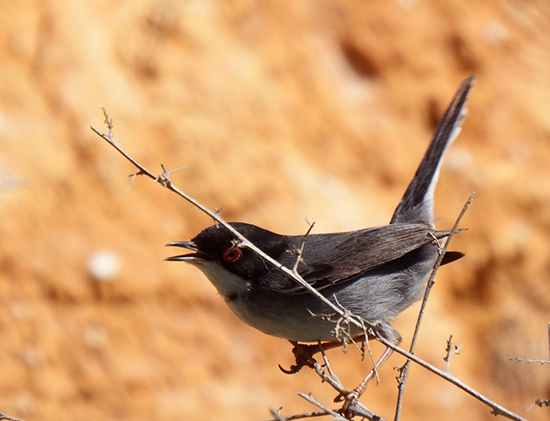 I renewed my very occasional acquaintance with birds like Blue Rock Thrush, Red-rumped Swallow, Pallid Swift and Spotless Starling, and, after several abortive attempts to find a particular ‘hot-spot’ near the golfing paradise of Quinta do Lago, I finally hit lucky, with even the luxury of a hide to use – and in a single session I added to my list Garganey, Purple Gallinule, Little Bittern, Red-crested Pochard, Common Waxbill and those dainty Weavers, which lived up to their names by building their nests of old brown reeds among the fresh green stems (see picture). We’d certainly return to the Algarve, but would probably aim to stay at Tavira, further east and half way between Faro and the Spanish border, which is a very attractive small town with plenty of accommodation and restaurants. And I would also plan to use one day to go a little farther inland – where apparently Great and Little Bustards reside, along with a range of ‘plains’ bird such as sandgrouse, Stone Curlew and a much wider range of raptors.